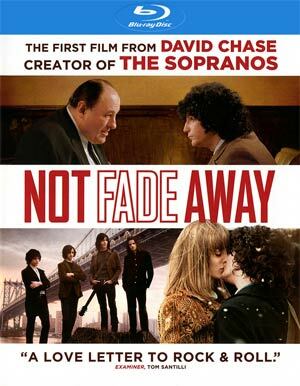 Not Fade Away, in reference to the popular Buddy Holly song which any rock band seems to first emulate, is most likely a pseudo-autobiography from Sopranos creator David Chase marking his theatrical debut. For rock enthusiasts the movie probably speaks to them more so than to those who take a distant take on the genre (like me)… However, even for somebody who takes more interest in movies rather than music – and those who do would be horrified to see my iPod playlists! – on the cinematic front the film comes across as cold and distant. 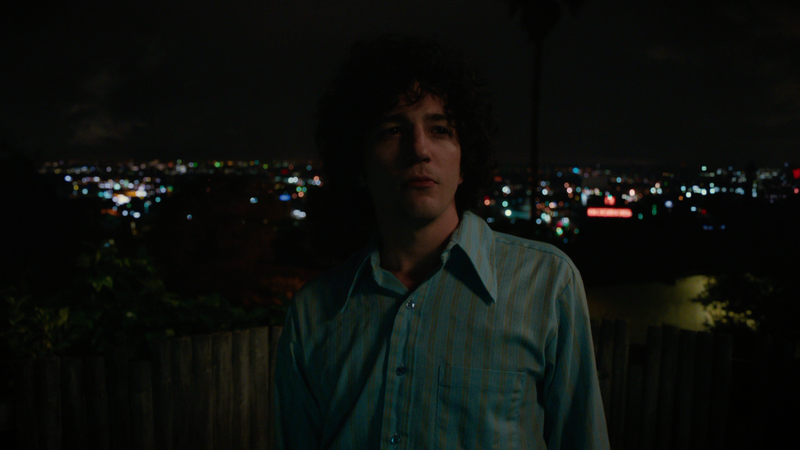 The coming-of-age story centers on a young man named Douglas (JOHN MAGARO) living in 1960s New Jersey when rock’n-roll invaded the States starting with The Beatles and The Rolling Stones and like any boy, he has a fascination with music and joining a band. Soon enough, he makes friends with Eugene (JACK HUSTON), Wells (WILL BRILL) and Joe (BRAHM VACCARELLA) and they create an ever changing named band playing cover songs at parties while dreaming of making it big like their idol, Mick Jagger and company. 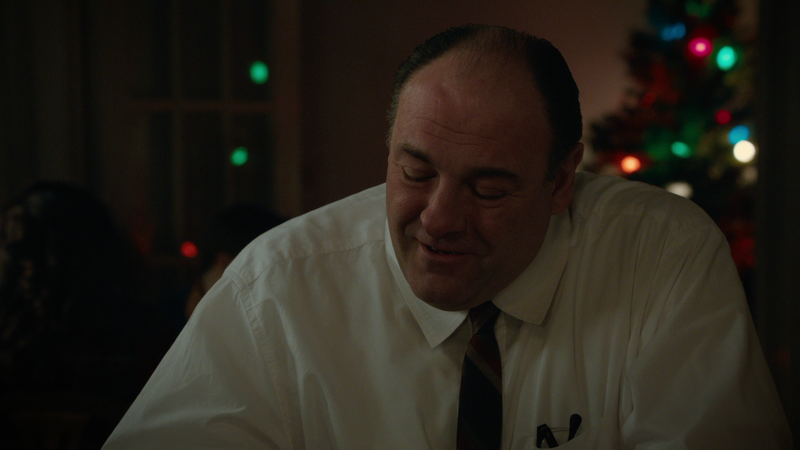 At home, his father (JAMES GANDOLFINI) is strict while his mother and sister, who is the narrator, are more pacifists. After graduating high school, he goes off to college but much to the disdain of his father, he has grown out his hair (i.e. became a hippie I suppose) and announces he is dropping out to make his pursuit of music a priority and the father-son argument come to blows. Meanwhile, Douglas’ love life becomes active when he becomes the band’s lead singer as his high school crush Grace (BELLA HEATHCOTE) becomes interested and the pair begins to date and, of course, fall in love. As with any movie about bands, there’s your typical love-hate going on as band mates turn on one another, such as Douglas becoming the lead singer, some tension with another member whom they kick out of the band, etc. The dramatic elements aren’t very compelling and in one instance, when Eugene I believe, crashes while riding a motorcycle after one of the others fake threw a football. Given this was semi-autobiographical, I suppose this could have happened but it looked silly and somehow he survives despite going head-first into a tree, was odd and didn’t amount to much. In fact, that’s one of the issues with Not Fade Away: there are more than a few dangling plot threads which have no resolution. I suppose this was the point made by Chase there are rarely are resolutions in life but this is a movie and seems kind of lazy to start a plot line and not at least get tie it off in some way. Now, despite a, frankly, boring plot that doesn’t really pick up until maybe the third act, not everything in the film is bad. The cast of mostly unknowns might prove to be an ensemble of up-and-comers and in particular, two give impressive performances. 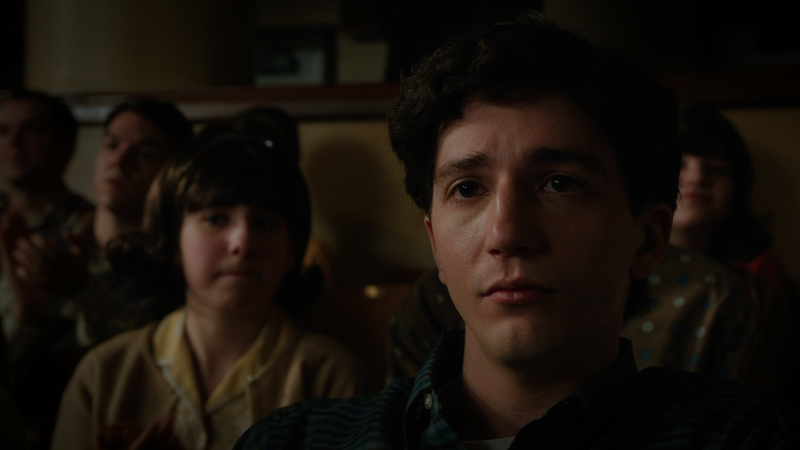 John Magaro and Brahm Vaccarella are both excellent and the highlights to go along with the always reliable James Gandolfini. The Basement Tapes (35:53; HD) – This is a 3-part featurette containing behind-the-scenes footage as well as cast and crew interviews as they expand on the story, the characters and the preparation on turning some actors into musicians. At 35-minutes, it’s fairly in-depth and provides insights particularly by David Chase. Building the Band (3:06; HD) is a short promotional featurette which contains some of the same footage from the longer “Basement Tapes” feature. Deleted Scenes (5:33; HD) – There are four scenes which were removed for whatever reason. Nothing here absolutely fascinating and unnecessarily extended the movie. 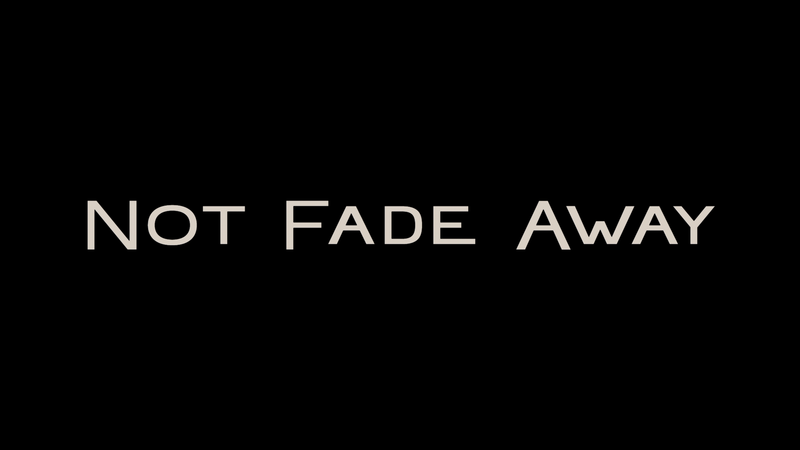 Paramount releases Not Fade Away on Blu-ray and presented with a 1.78 widescreen aspect ratio and 1080p high-definition transfer. The picture, unsurprisingly, looks excellent showing off some great detail levels, the color array is more on the softer side with more brown tinting but still shows off quite nicely even on the small screen. As one would expect, a movie featuring numerous classic rock and roll songs, shows off the 5.1 DTS-HD Master Audio track. The front and rear channels come alive with each Beatles or Rolling Stone song to the covers done by the amateur bands. Music aside, the dialogue levels also sound nice and clear making use of the center channel while other ambient sounds comes through the rear speakers as well. Overall, Not Fade Away certainly had potential with a respectable and hopefully on-the-rise young cast, a great actor in James Gandolfini and a wonderful writer in David Chase, but the story itself was dull, the main character, despite the best attempts by John Magaro, was an annoying brat, plot points going nowhere and an ending that not only felt tacked on but was obnoxious and pretentious as all hell. The Blu-ray does have some decent features and the audio track really goes into overdrive showing off the numerous rock-n-roll songs.